Four days before the first polling date for Lok Sabha election 2019, a Muslim man — Shaukat Ali — was harrassed and thrashed by a mob in Assam’s Biswanath district on suspicions of selling beef. As if that wasn’t enough, he was also forced to consume pork. Three days later, just a day before polling began, a man named Prakash Lakra was reportedly lynched to death by a mob in Jharkhand’s Gumla district after the latter accused him of cutting flesh of a dead bull. These recent incidents are not the first of their kind in the NDA government’s “New India”. 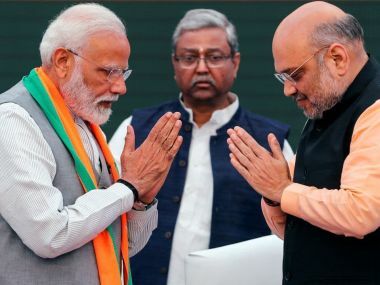 In fact, they fit squarely in a specific pattern of street-style, majoritarian communal violence that the BJP-led regime has fostered in the past five years. Even the immediate response of the local police, for instance in Biswanath where the district police chief quickly dismissed any communal angle to the incident, was textbook. 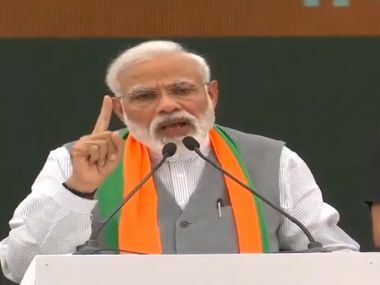 The broad view is that Modi’s tenure has witnessed a dramatic rise in incidents of communal violence across the country. This is true. At the same time, it is important to note the peculiarity of this new wave of religiously-motivated assaults. From large-scale Hindu-Muslim riots and pogroms that were the hallmark of earlier phases of Hindutva politics, the violence has now tapered down into small-scale and localised incidents of attacks on individuals - mostly carried out in mobs against Muslims and Dalits, largely over beef consumption, transportation or storage. 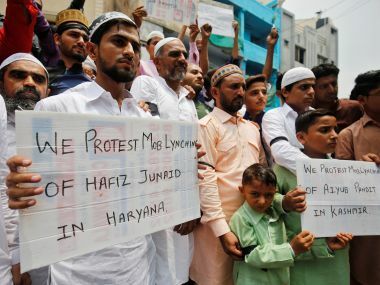 While it is difficult to ascertain which of these two forms has a greater chilling effect on the minority psyche, it should suffice to say that the high frequency and uniform geographical spread of these cow-related attacks indicate a systematic pattern. The data, in this regard, is more than telling. According to IndiaSpend’s ‘lynch fact-checker’, one of the most comprehensive data sets on this so far, a total of 125 cow-related attacks have taken place since 2012. Of these, 74 incidents - or 59% - have happened under BJP rule. Further, a total of 46 deaths were reported in this period - all during the BJP years (2014-19). In fact, only 3 incidents were reported during the Congress years of the study period (2012-2013), followed by a sharp jump from 3 to 13 in just the first year of the Modi government (2014-15). Needless to say, Muslims constitute the largest identifiable chunk of the target groups (57%), followed by Dalits (10%). Further, India remained high up in Pew Research Centre’s 10-point Social Hostilities Index (with respect to religion) through 2015-16, sitting firm on the “Very High” cluster alongside countries like Iraq, Syria, Egypt, Nigeria and Bangladesh. There was even an increase in the score from 2015 to 2016. In this regard, the Pew report says that the “cow protection” groups in India have existed since before, but have “increased their activities in 2016”. It also says that “Sikhs were often harassed by Hindu nationalists for traditional beliefs and practices” in India. The subtext of these numerical figures speaks of a menacing new sociopolitical culture that is being institutionalised and normalised in more ways than one, often by everyday practice. This state inertia has also seeped into the law enforcement machinery, as shown by multiple instances of lax or even anti-victim police action. While this is not unique to the post-2014 brand of communalism, it is still worrying and shows the institutionalisation of an anti-democratic status quo. So, instead of prompt action against the perpetrators of violence based on appropriate provisions in the Indian Penal Code, we see four distinct patterns of police behaviour in the aftermath of a communal hate crime against a minority community: quick dismissal of the communal angle; deliberate sluggishness in protecting the victim(s); deliberate procedural lapses to protect the perpetrators (also see third para under ‘Police Failure to Investigate and Prosecute' in HRW report); and filing criminal charges against the victim(s) instead of the perpetrator(s). A fifth template, which is perhaps more outrageous than the other three, is law enforcement indulging in vigilantism, in direct contravention of the law. Take the example of 23-year-old Taleem, who was killed by the Haryana police in an encounter in December 2017 on charges of cow smuggling. According to the state law on cow protection, the police is only authorised to search and seize the suspect vehicle and the smuggled cows. But, clearly, the men in uniform here too enjoy the benefits of “state-free political time and space for sustained violence”. According to former police officer, S R Darapuri, as quoted in a recent article by Christophe Jaffrelot and Syed H A Rizvi, the BJP “is using the police as its power arm to overawe the Dalits and minorities”. An attendant part of this is to misuse the law and in turn, establish impunity for law enforcement authorities. The wilful non-intervention of the state is further perpetuated, ironically, by the constitutional framework on federalism that gives state governments, and not the central government, remit over law and order. This makes it easy for the government in New Delhi, constituted by BJP’s star figures who ought to remain sanctified, to wash its hands off the overtly communal violence. No wonder the Union Home Ministry kept passing the buck to state governments despite the urgency of the problem. The other distinct feature of communal violence in Modi’s India is its dependency on the internet and social media - something that was wholly missing in the Babri and Godhra phases. A lot has been said and discussed about how WhatsApp groups have actively fueled violence on the streets through the proliferation of fake news and videos. But, not enough has been talked about how the production of raw imagery of violence through smartphones (remember Shambu Lal Regar's brutal broadcast?) has empowered the majority psyche and delivered terror to the minorities. Images, both still and moving, can deeply affect the communal hive mind by normalising abnormal violence and even legitimising it. The outcome is the steady transformation of anti-minority street violence into casual pop culture, and in turn, total desensitisation amongst the lay public. This is precisely what the Supreme Court termed as “bystander apathy” in its July 2018 judgment on mob lynching. Nothing can be more dangerous to a multi-cultural, multi-ethnic democracy than the normalisation of majoritarian violence. All of these operate under the overhang of regime support. 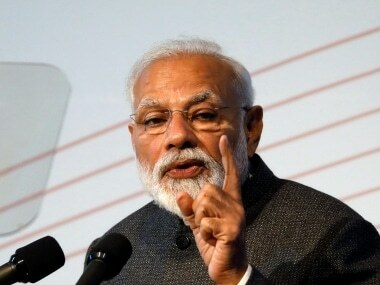 Unlike in the post-Godhra period when mainstream BJP figures often couched their communal or justificatory speeches in moderating wordplay, Modi’s ministers have been less subtle. They have openly backed cow vigilantes (even garlanded them), smooth-talked about the need for protecting the ‘holy mother’ animal, and framed the whole business of cow protection as an integral cultural obligation of Hindus. Sure, India has never been a non-violent entity. Our history is steeped in communalism. But, what we’re witnessing today is far more organised, proliferative, and institutionalised. The response, therefore, needs to be commensurate. While it makes much sense to explore relevant judicial and executive options, like a possible mass crimes law or enforcement of the apex court judgment, what we really need today is a courageous and principled politics of secularism and inter-community harmony.